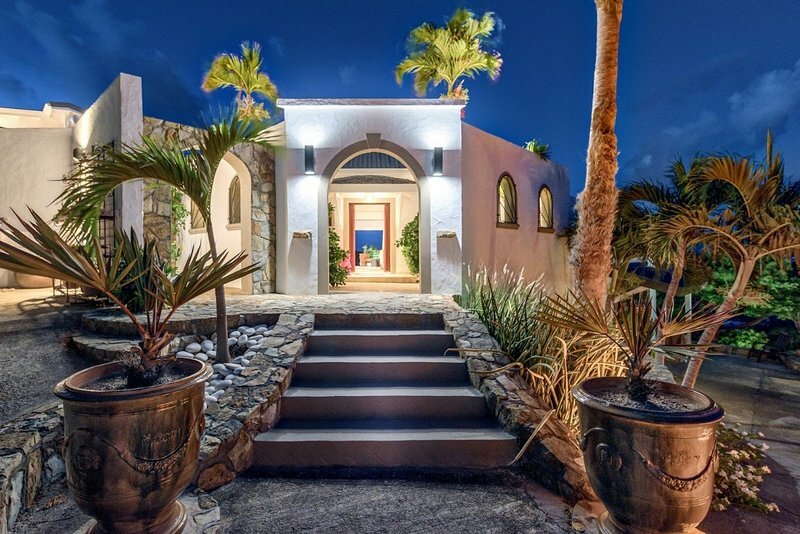 Villa Le Mas des Sables is a Moroccan inspired villa located on prestigious St Martin. 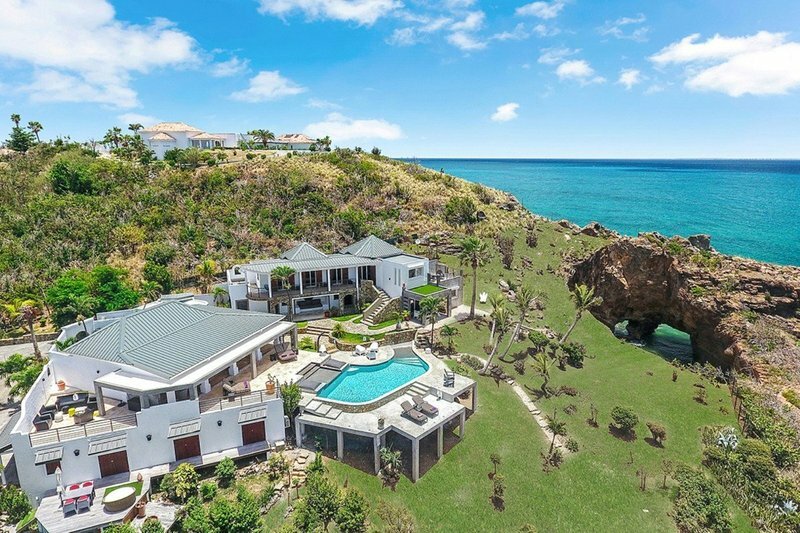 Just steps away from the waterfront, this is a highly private and charming cliffside estate on Terres Basses. Le Mas des Sables showcases some lovely northerly views of the shimmering turquoise ocean and the beautiful curve of the St Martin coastline. Moments away from some snorkeling, this villa has two buildings. The main building is one level and features the living, dining and kitchen area as well as a covered terrace that flows to the pool and off to the left is a two story building with three spacious bedrooms, two of which feature king sized beds and one featuring twin beds (can be pushed together to form a king sized bed). Every single bedroom showcases some amazing en-suite bathrooms complete with showers, air conditioning and some ceiling fans that give off the ultimate tropical vibe. 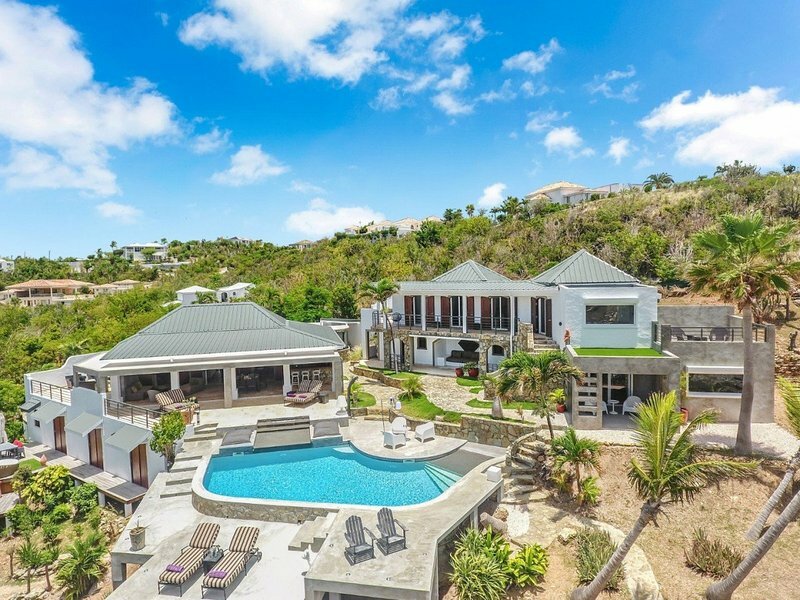 Surrounded by luscious tropical gardens, this luxurious St Martin villa offers a secluded hideaway for nature lovers and located less than a minute away from the Baie Rouge Beach, this is the perfect place for a Caribbean dream. Additional amenities include: air conditioning - bedrooms, coffee maker, ipod dock, outdoor, laundry service, generator, view - ocean/sea, cd player, housekeeper(s), private, short walk to beach, ice machine, TV - satellite, caretaker, outdoor bar, gardener, pool person, voltage - 110/220, gated property, outdoor grill - charcoal.